Wall Street quieted Pandora today following mediocre earnings and news that Pandora’s board rejected a $3.4 billion acquisition offer at about $15 per share from SiriusXM radio owner Liberty Media, according to The Wall Street Journal. That would have been a few dollars higher than its existing price, signaling high hopes for the company from leadership despite this quarter’s performance. Pandora grabbed $343 million in revenue and -$0.12 non-GAAP EPS, compared to estimates of $351.6 million in revenue and -$0.16 EPS. Listener count dropped to 78.1 million, down from 79.4 million last quarter and the same number a year ago. At least listening hours inched up to 5.66 billion compared to 5.52 billion last quarter and 5.3 billion a year ago. Pandora lost $25.1 million, in the center of its $20 million to $30 million expectations for the quarter. Pandora’s share price was down 7.5 percent immediately after the earnings announcement. That’s after a strong quarter, where share prices rose 40 percent thanks to Q1’s solid earnings and revenue guidance increase. 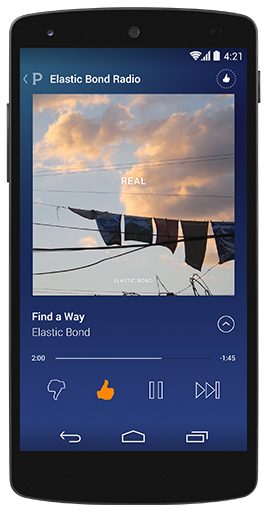 Pandora’s algorithmic radio app keeps spinning, but another quarter has gone by without the launch of its on-demand product built from the bones of its $75 million acquisition of Rdio. Spotify and Apple continue to build their communities, pulling in more users who’ve never streamed on-demand before. Once they start building playlists and improving the personalization of recommendations, they’ll be hard to pull away. That “complete music marketplace” Westergren talks about can’t come soon enough.